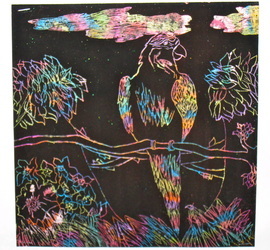 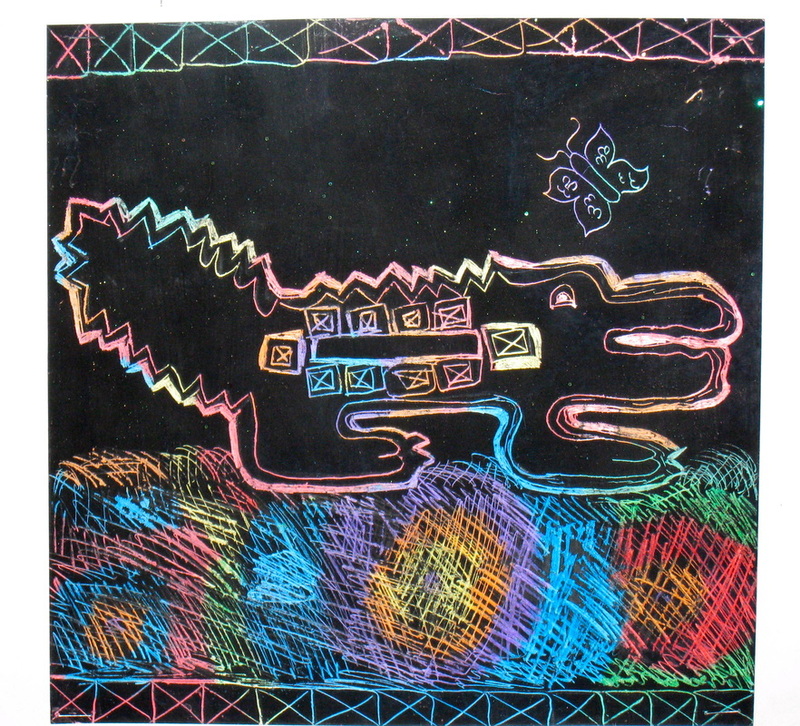 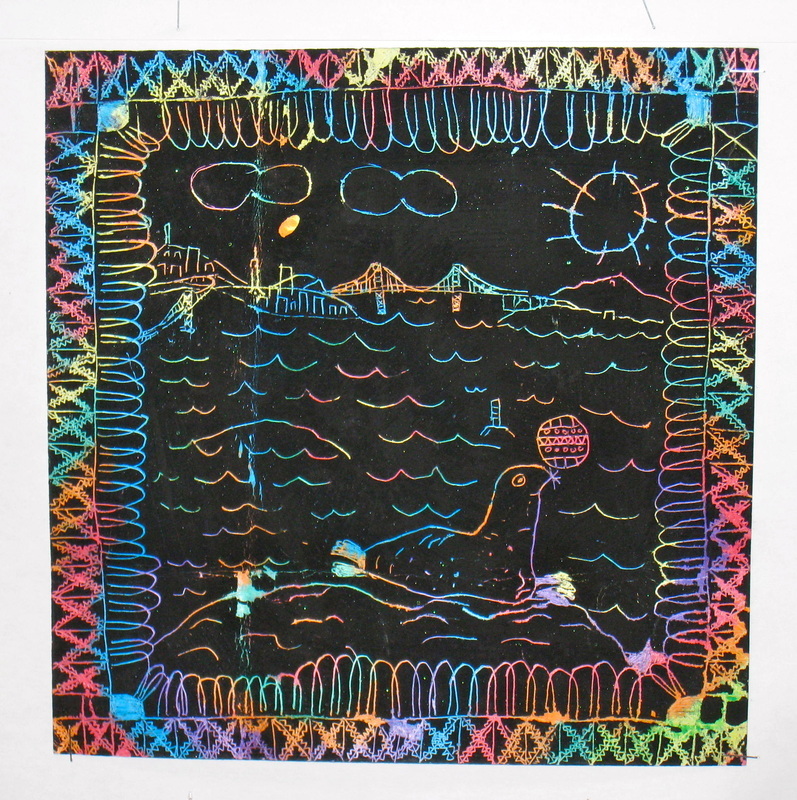 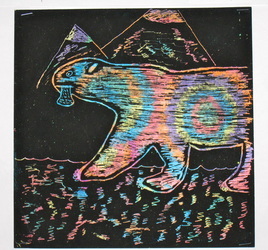 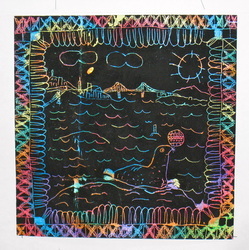 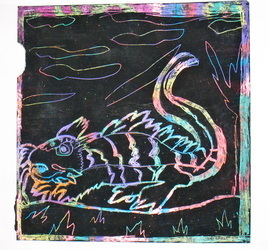 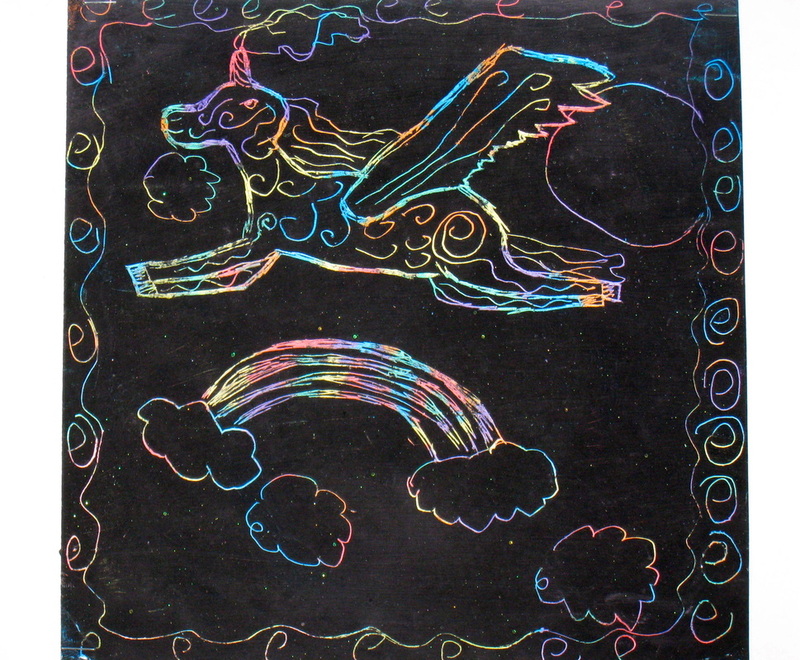 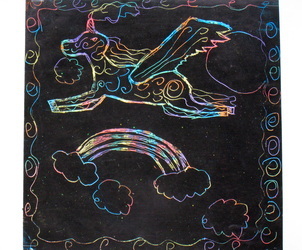 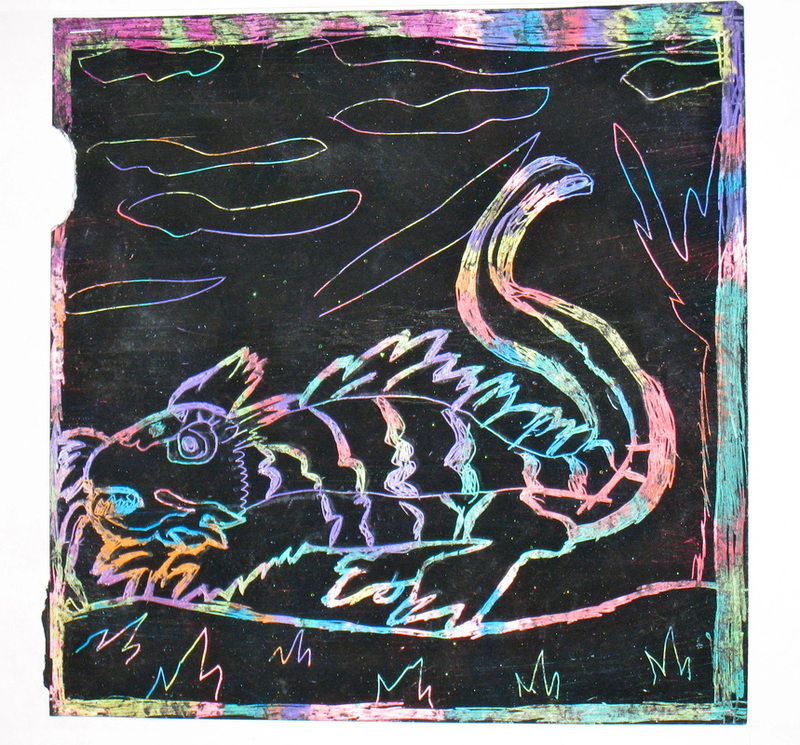 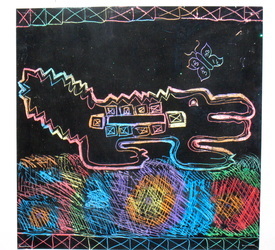 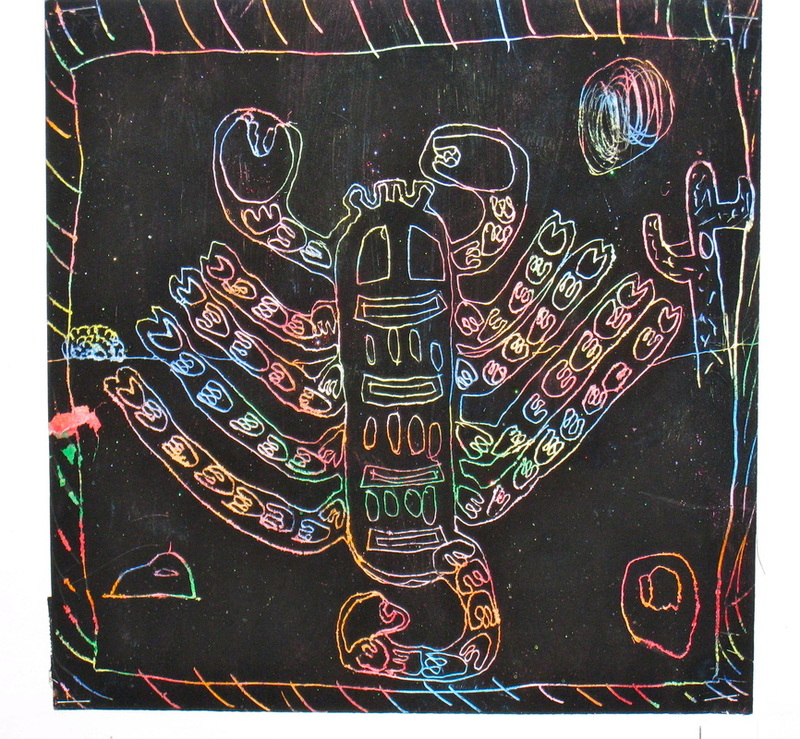 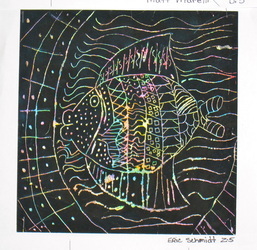 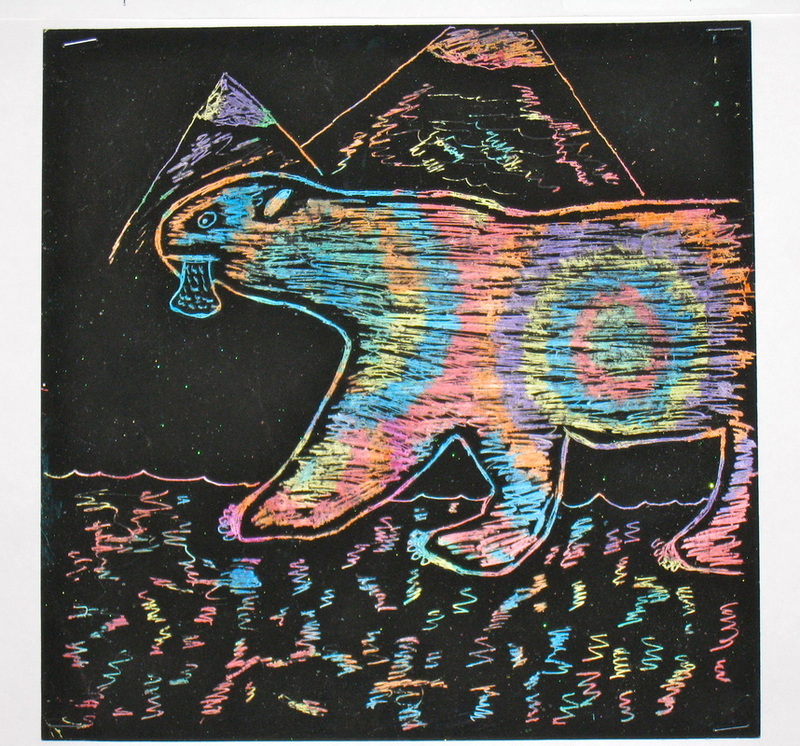 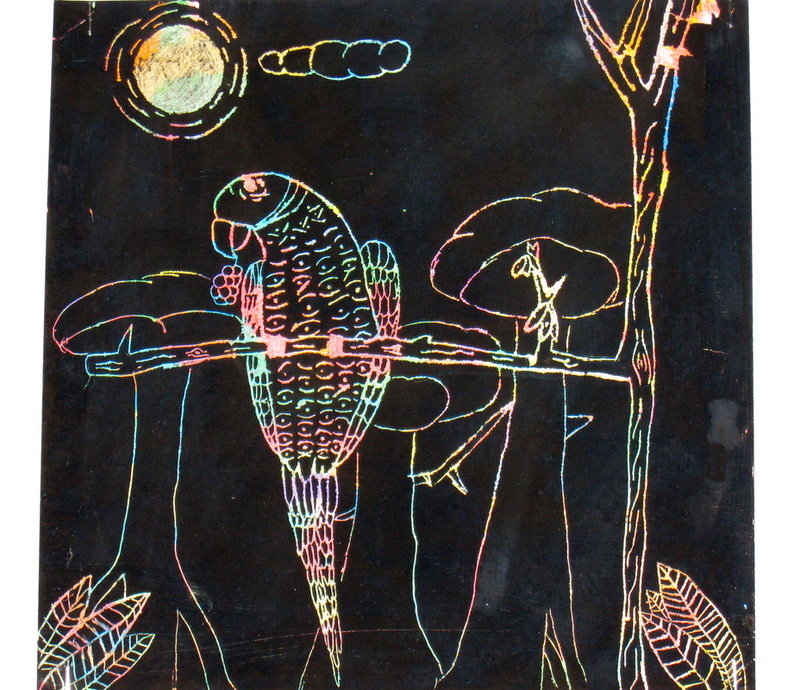 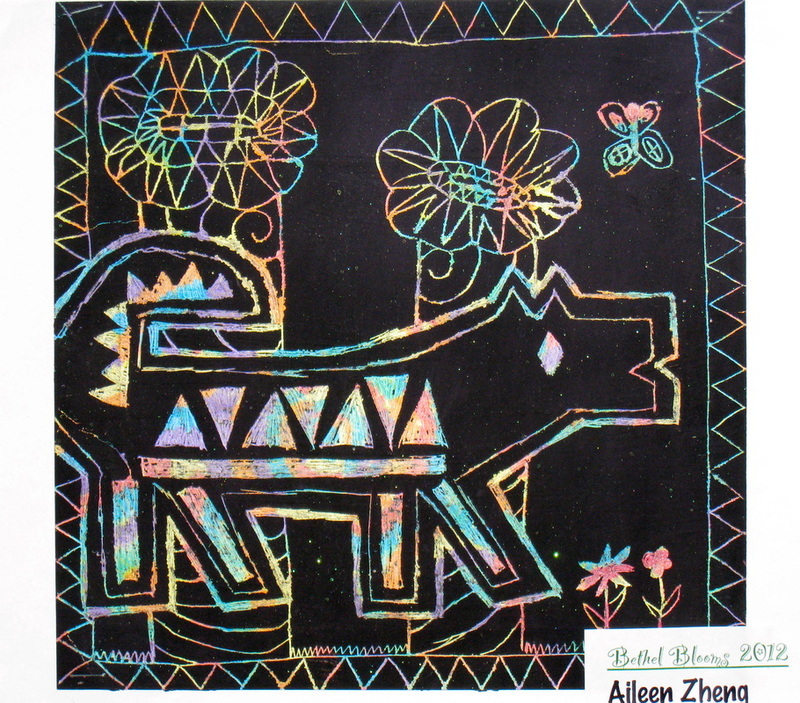 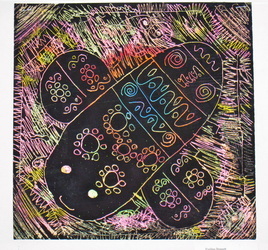 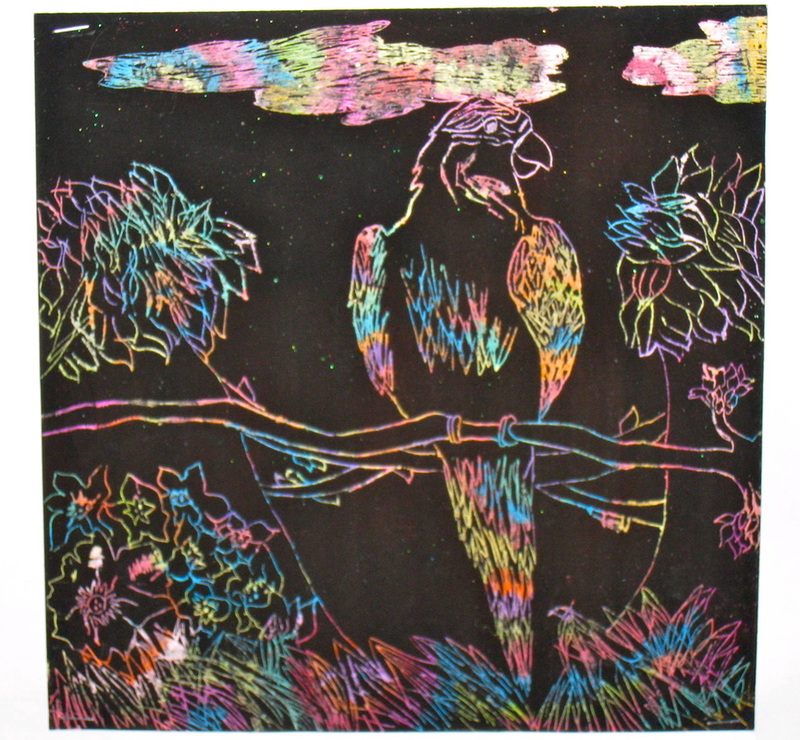 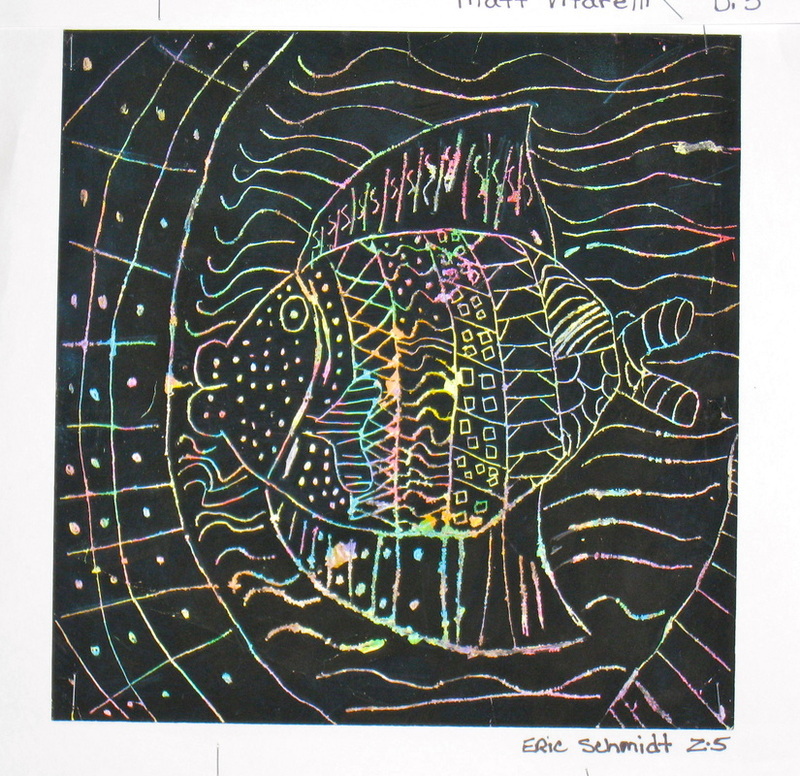 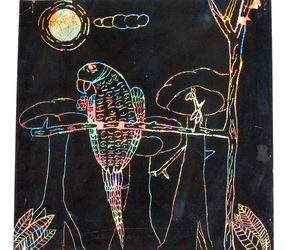 Both 4th and 5th grade students enjoyed creating pictures with scratchboards. 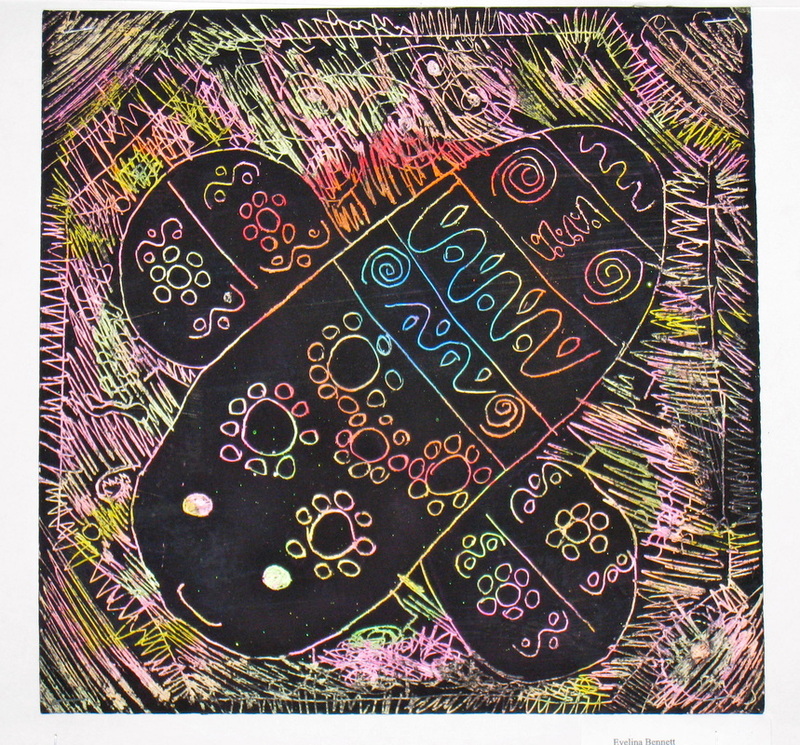 This unique material supports a bright array of colors beneath a black surface. 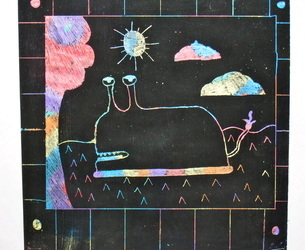 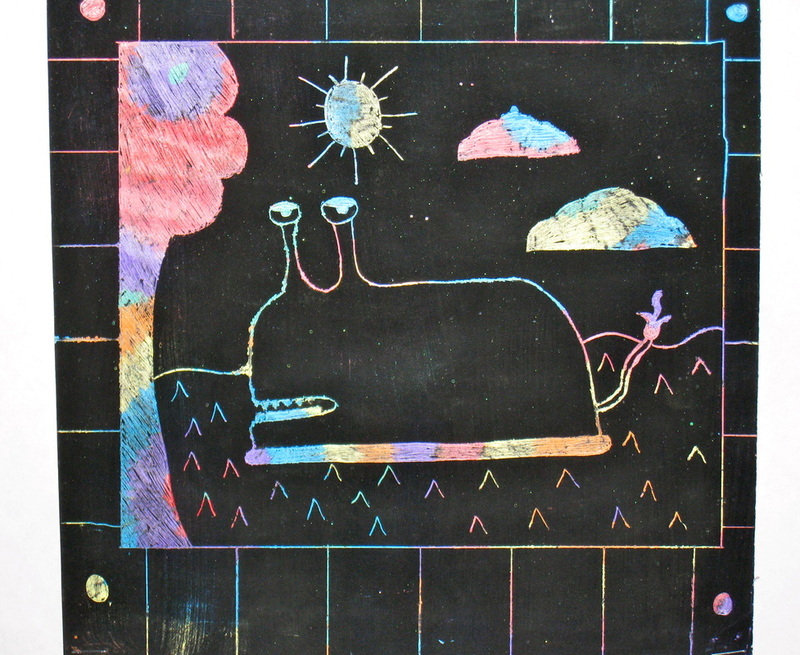 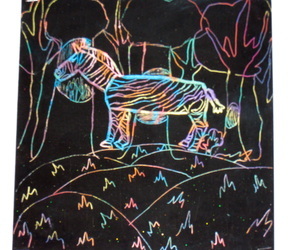 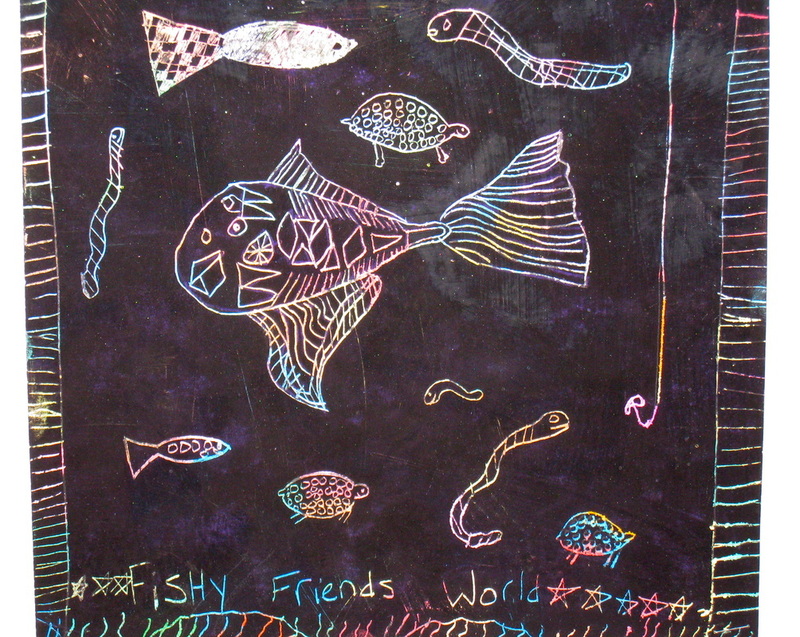 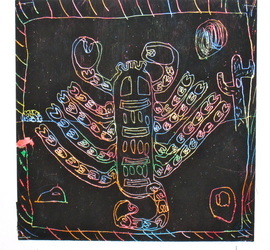 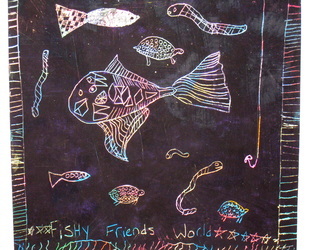 Using a stick, the children planned out their ideas and brought them to life by scratching away the lines of the image. 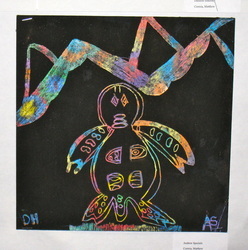 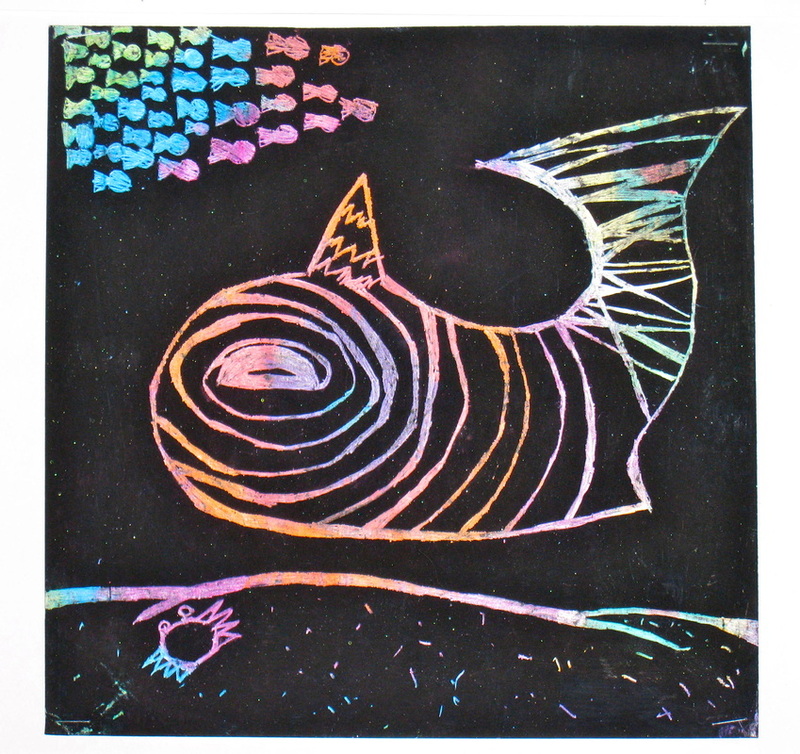 The reduction process offered a wonderful way to teach the students about space, contrast, and variety. 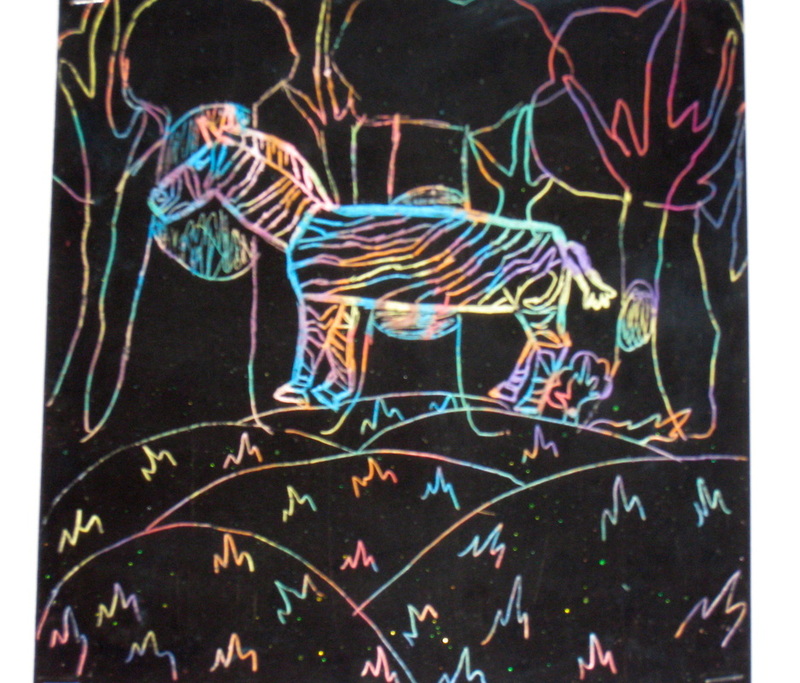 Their successful results are certainly eye-catching.